A fantastic example of a late Victorian solid oak arts and crafts double bed. 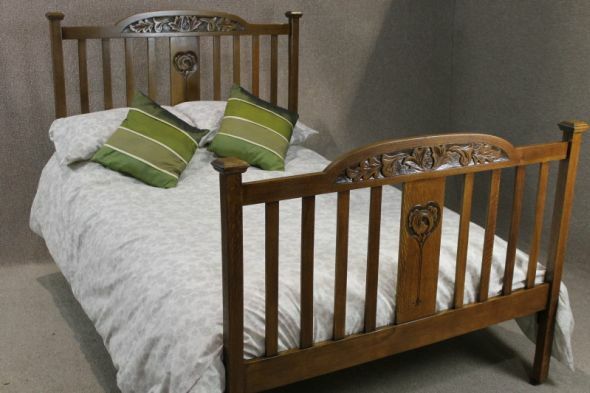 The bed has a beautiful slatted headboard and footboard with central carved panel. The bed has been completely stripped and re-polished, and so, is in outstanding condition. It comes with a newly made slatted bed base, so all that is required is a standard double mattress.